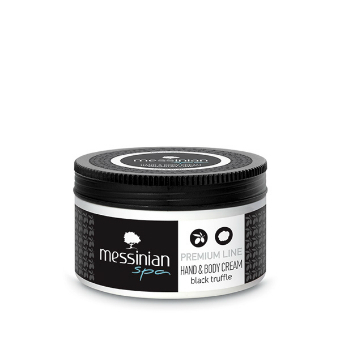 The Messinian Spa Black Truffle premium line offers a special care bringing luxury into your every day's life. The distinguishing characteristic of this line is that all products are enriched with valuable ingredients from nature offering marvelous, rich perfumes exuding a mysterious charm. The Black Truffle line blends the PDO extra virgin olive oil from Kalamata with the Greek black truffle, with a unisex, earthy perfume that combines seductiveness with elegance. For mysterious men and powerful women. Formulated with noble ingredients, enriched with organic olive extract, panthenol(pro-B5), honey, silk amino acids, this shower gel offers a rich texture, freshness, hydration and a royal skin care in your daily routine. 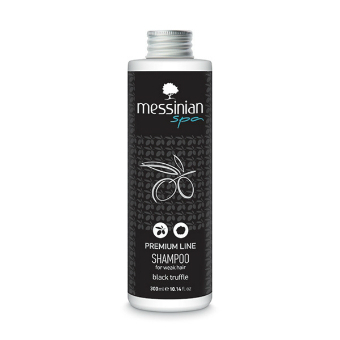 Formulated with noble ingredients, enriched with organic olive extract, panthenol(pro-B5), vitamin complex A,E,F, trace elements, honey, an active, stimulating agent for hair growth, biotin, lavender and rosemary essential oils. These ingredients nourish, strengthen, revitalize, fortify, protect and achieve positive influence on the structure of hair, making your hair healthy, strong, silky, moisturized and shiny. 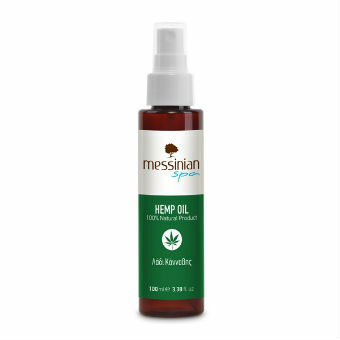 Ideal for weak hair and hair loss problems. The hand & body cream of this line is easily absorbed, non-greasy and contains natural ingredients, like Greek mountain tea, arnica, St. John's wort, calendula, aloe, panthenol (B5); ingredients which provide immediate hydration, smoothness, softness, while healing skin rashes, purifying and nourishing the skin. Ideal for calloused, cracking, rough, weatherbeaten and very dry skin, suitable for elbows, knees, heels, hands, feet, for people who wash their hands frequently, work out, swim, do sports, work in outdoor spaces during winter, work with chemicals, expose their skin to dirt.